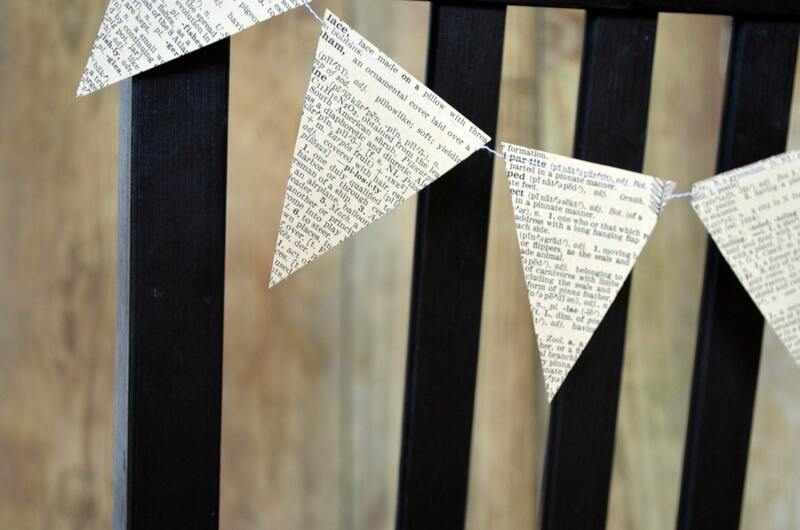 We make each these short garlands using vintage books and dictionaries, making them little bits of whimsy perfect for just about anywhere! 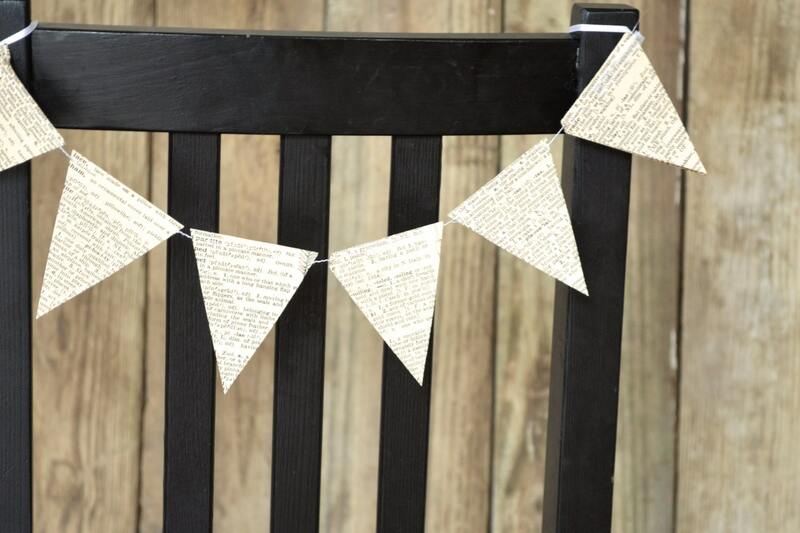 Each garland gets stitched together with white thread into a piece of bunting that is just over 18 inches long - just long enough to drape nicely on the back of a chair or across a window. 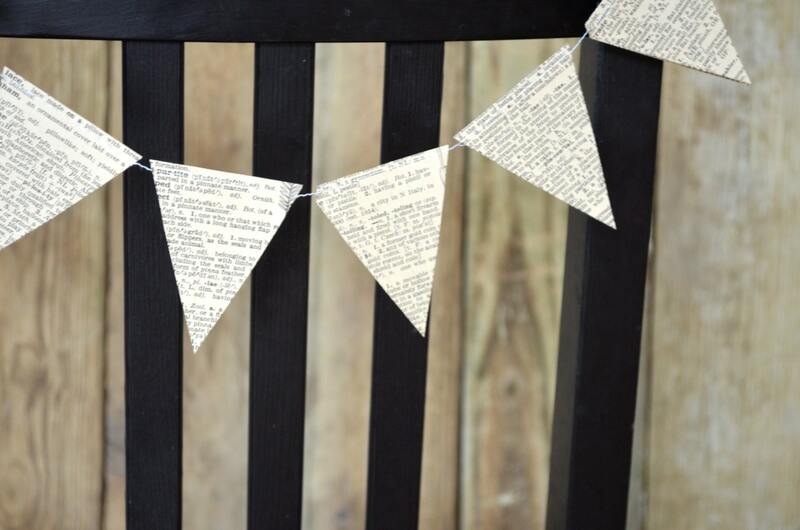 The individual pieces of bunting are about 2 1/2 inches wide by 3 inches tall and there are loops of satin ribbon sewn into the ends to use for easy hanging. 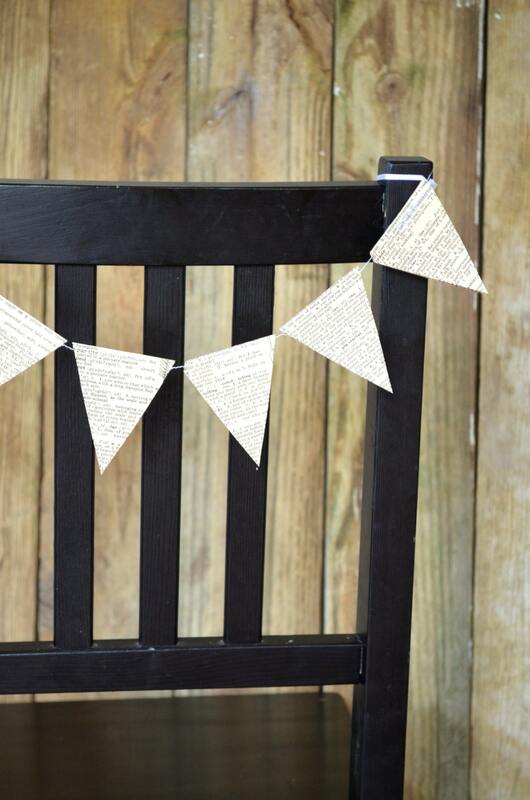 Are you looking for coordinating long garlands? 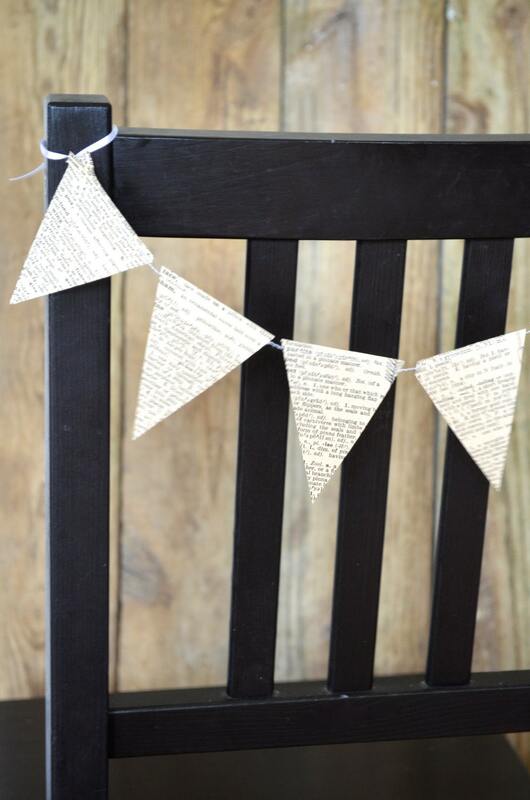 You can find them here https://www.etsy.com/listing/196971380/vintage-book-triangle-garland-10-15-or?ref=shop_home_active_17!